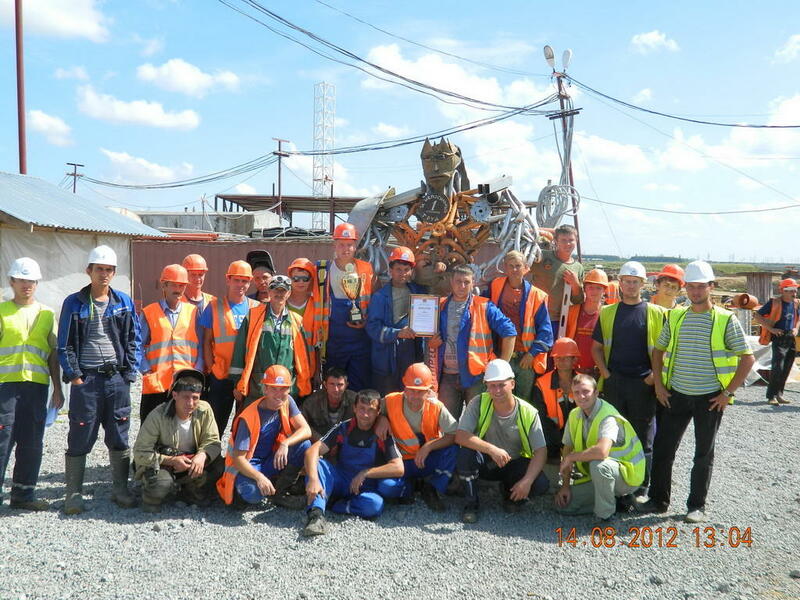 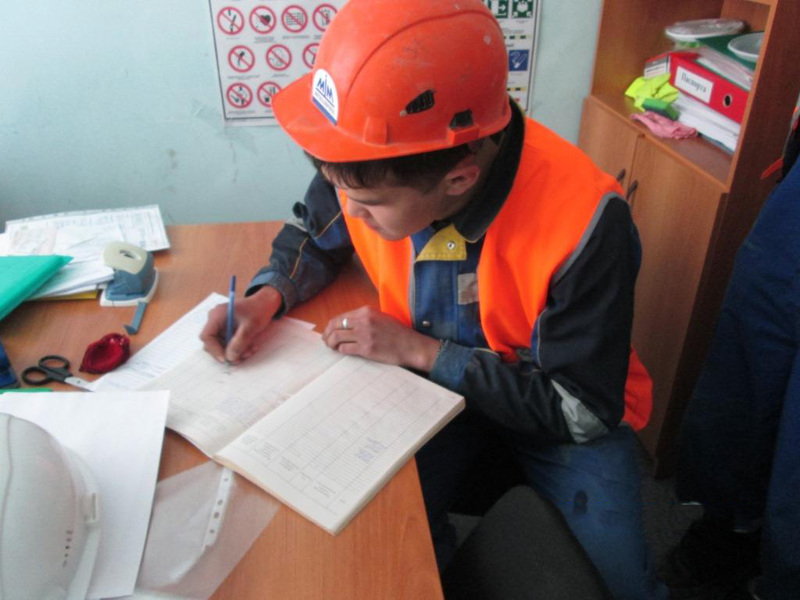 Labor protection is safety and health of employees! 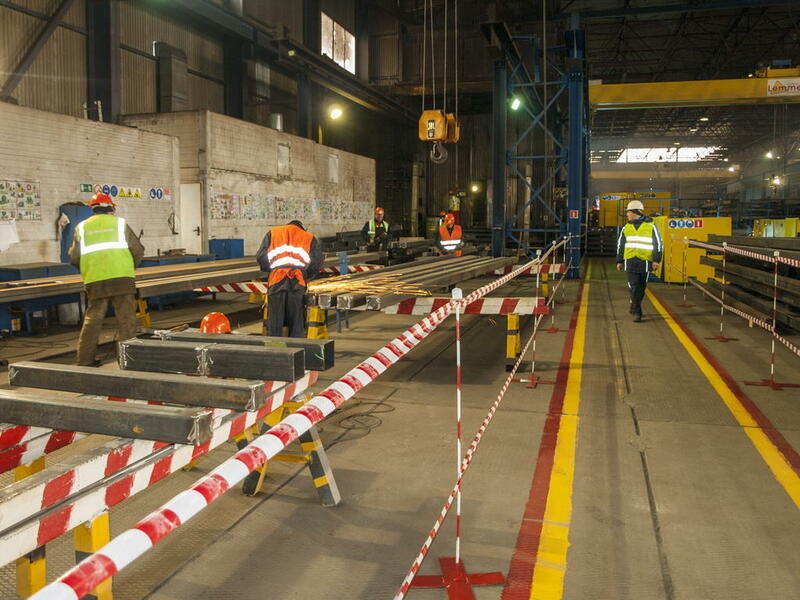 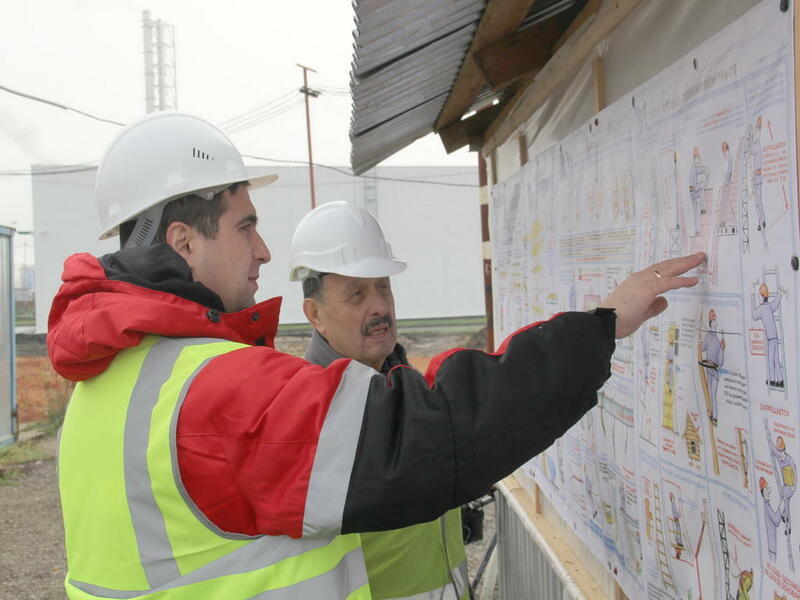 Access to the construction site is carried out only with a special permit. 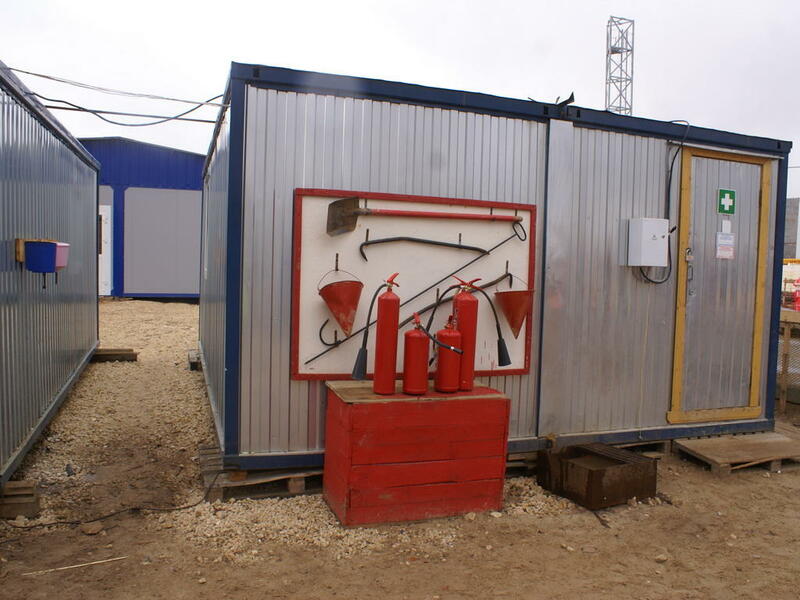 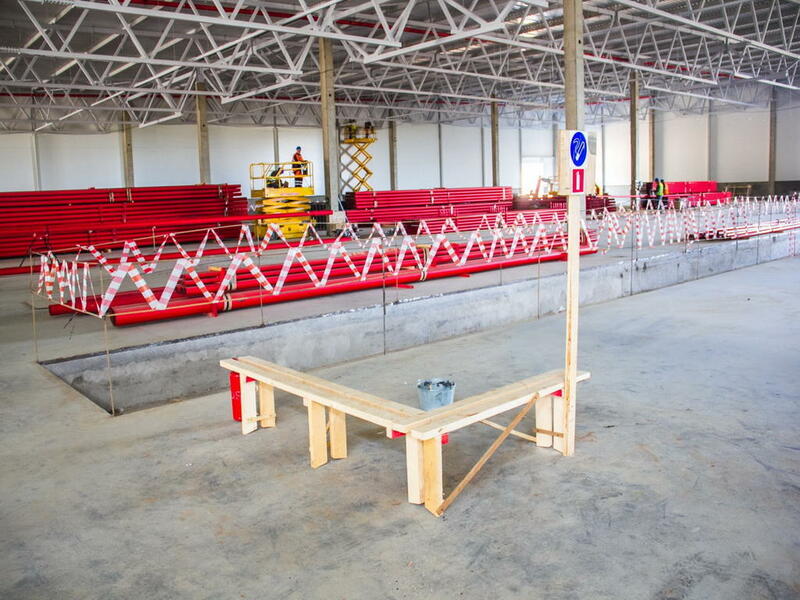 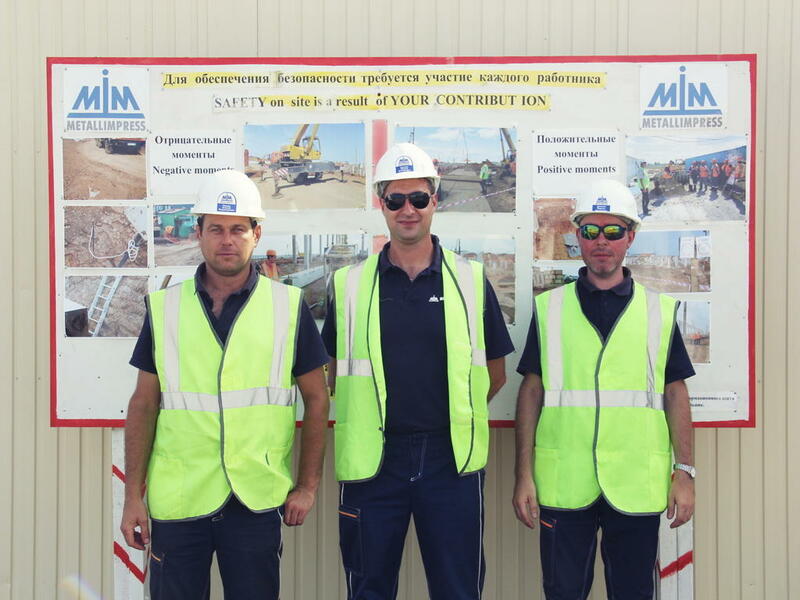 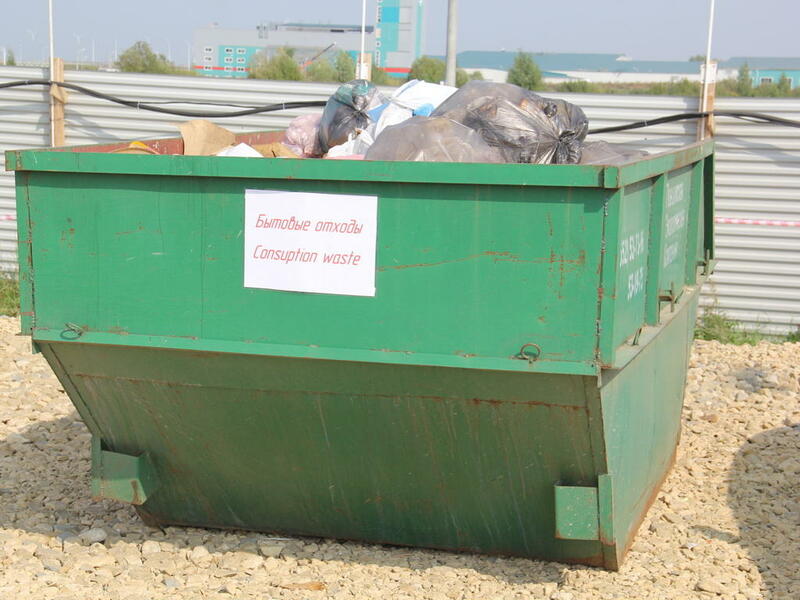 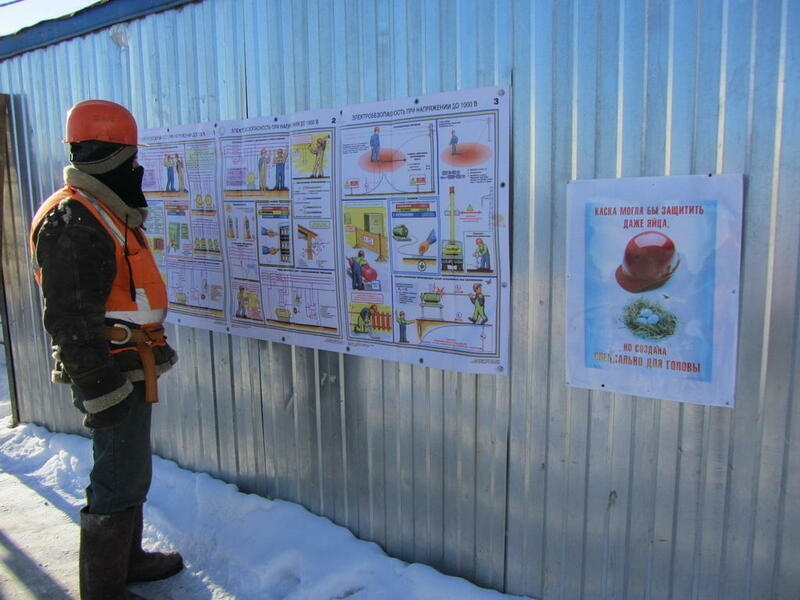 Every visitor of the construction site completes mandatory safety training. 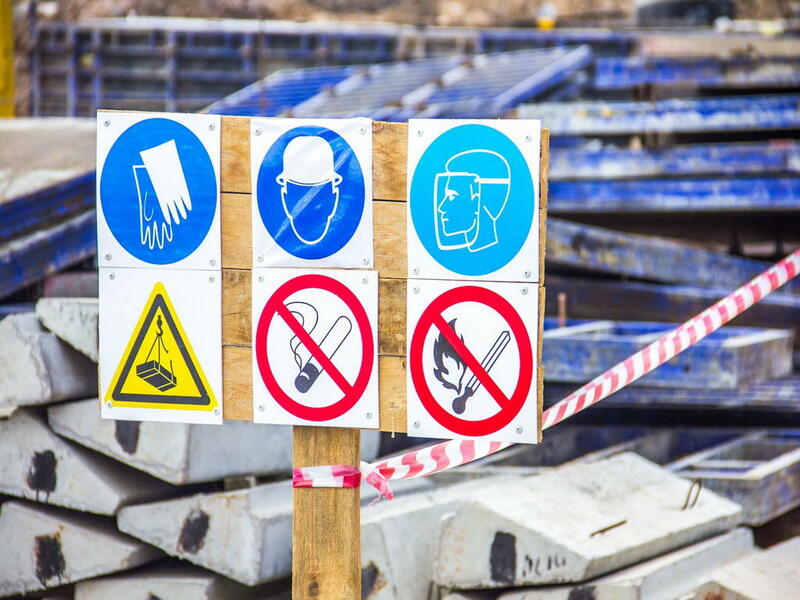 All employees, who come to the construction site, are required to confirm their skills and are tested for alcohol and drugs. 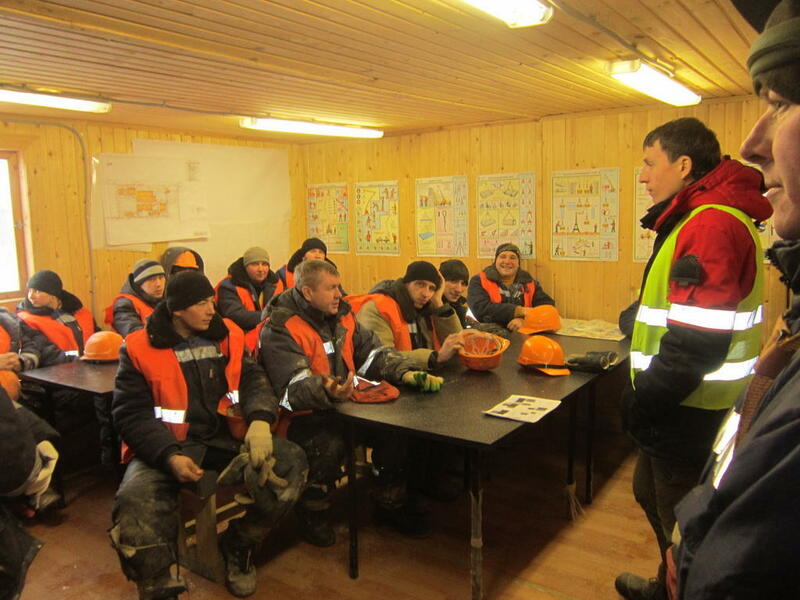 Regularly, safety and health video trainings are held. 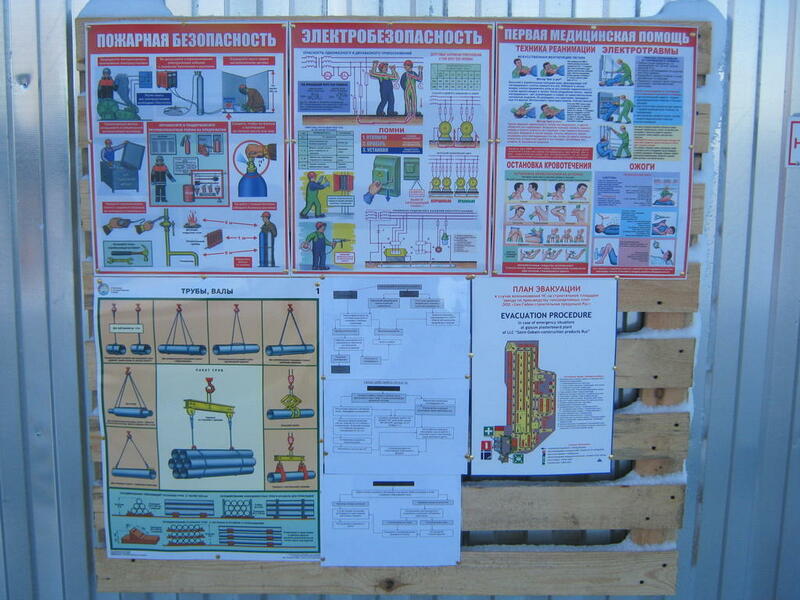 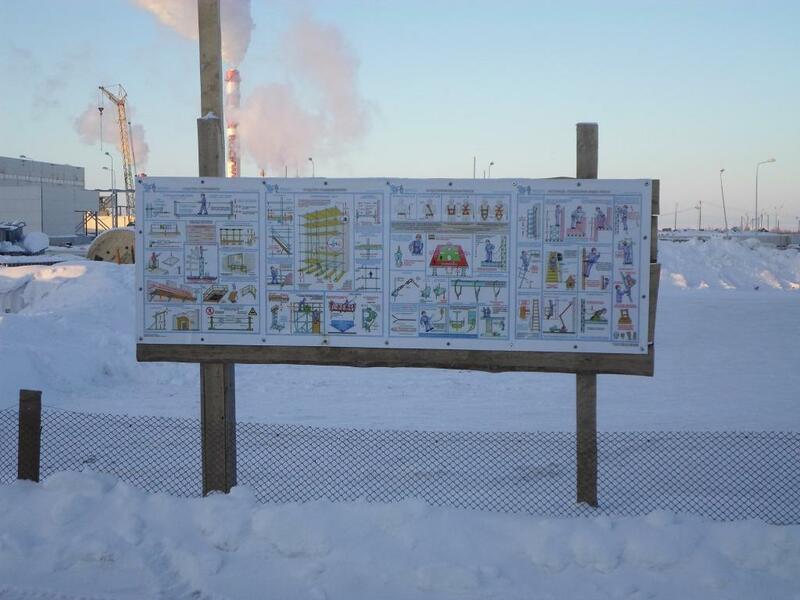 For each facility, informational and promotional materials on occupational safety are developed and issued: brochures for visitors and employees, boards and signs, posters.